Teijin Limited announced today its development of Japan’s first prepreg, or carbon fiber sheet pre-impregnated with bismaleimide (BMI) matrix resin that offers high resistance to both heat and impact, making it ideally suited to use in aerospace engine components. Teijin’s new BMI resin pre-impregnated prepreg achieves a high glass transition temperature (Tg) of 280℃ and compression after impact (CAI) of 220MPa, a previously difficult combination made possible based on Teijin’s original resin-composition formulating technology. The new prepreg also maintains its coefficient of linear thermal expansion and high dimensional stability at both low and high temperatures. Moreover, by adjusting resin viscosity, Teijin also has improved moldability by adjusting the resin flow through preforms in the mold cavity and reduced curing time with its new prepreg compared to conventional BMI-based prepregs. Teijin is rapidly expanding its market for next-generation aircrafts by developing midstream-to-downstream lineups and related applications, such as cost-effective carbon fibers with higher-tenacity and higher-tensile modulus and intermediate materials including thermoplastic prepreg. Going forward, Teijin intends to further strengthen its position as a leading solution provider for aircraft applications, targeting annual sales in this field in excess of USD 900 million by around 2030. Prepregs are generally impregnated with lightweight, high-intensity epoxy resin. Conventional BMI resin-impregnated prepreg is already used for high-temperature applications such as aerospace engine components to prevent degradation and deformation. BMI resin, however, loses shock resistance when heat resistance is increased. 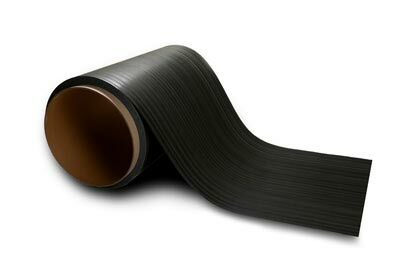 Also, CFRP made of BMI resin tends to peel apart and crack when subjected to strong impact. In addition, molding BMI resin can be difficult due to its liquidity.